Use this authorization grant type if you are building an application that just needs to access an endpoint as an anonymous user. For example, there's no need for a specific user to search listings. You will need a client secret that must be handled in a secure fashion according to the OAuth 2.0 spec. 1. 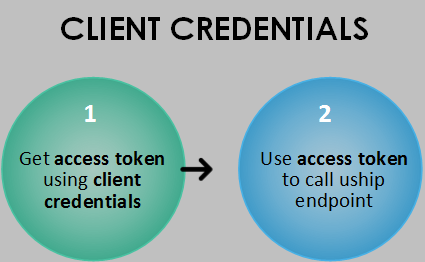 Retrieve the access token using the client credentials. 2. Use the access token to call a uShip endpoint.